UPDATE: European Union officials have now clarified that the forthcoming travel requirement for Americans is not a visa, but rather a beefed up pre-travel screening process for continued visa-free access to several EU countries. We've corrected this story to reflect this information and what it means for travelers, and we regret the error. Considering how easily you can score dirt cheap flights to Europe these days, the prospect of booking a last-minute jaunt overseas isn't as far-fetched as it may have once seemed. However, taking a last-minute Eurotrip could get a tad more complicated, because Americans will soon need to go through an additional pre-travel screening process online in order to visit many European countries. Starting on January 1, 2021, Americans will need to complete a special online registration process in order to visit 22 European countries, per guidelines issued by the European Commission, a body that oversees the day-to-day business of the European Union. These new process, known as the European Travel Information and Authorization System (ETIAS), will be enforced in an effort to improve border security. Any travelers who haven't applied for and been granted a valid ETIAS registration before their trip will not be allowed to board a plane or cruise ship bound for any of the countries where they're required, according to a report by Travel & Leisure. Fortunately, the application process seems pretty simple, and once you've completed it successfully, it's valid for three years. To complete it you'll just need to fill out an online application and answer a series of "biometric, travel, and security-related questions." The approval process will take about four days, and you'll get the go-ahead (as long as you're approved) via email. While not every country in Europe will require Americans to have a valid ETIAS pass to visit, some of the most popular destinations, including France, Germany, Spain, and Italy, will. Here's a full list of the 22 countries that will enforce them. In addition to filling out the online application, you'll also need to have a valid passport and a credit or debit card to register with ETIAS. There will be a fee involved as well, which will set you back around $8. Also, if for some reason your application is denied, you will have the opportunity to appeal it. 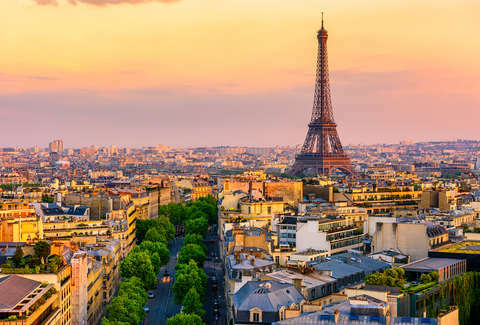 So, if you've been dreaming of pulling off a quick last-minute weekend trip to Paris, you may want to get on that before 2021.